Be warned though, this is one of Colorado's most popular spots. Lodging fills up quickly, and campgrounds are usually full. Make your plans accordingly, last thing you want to do is be bed-less the night before you run 100 miles. Tent camping is not allowed at the Start or Finish line, however overnight parking is available for vehicles and trailers. If you are pulling a trailer, please park in the designated area. If you are parking your car, please park in the designated areas. Sleeping in vehicles or trailers is permitted is allowed, but only if you do so in designated areas. Parking is allowed from Thursday 1pm through Sunday 1pm. The are dozens of areas with dispersed camping options all along the course. Dispersed areas don't have bathrooms or filtered water, so it's a primitive experience. If you're looking to keep costs at a full minimum, this is your best bet. Minimize your impact. Use existing areas and fire rings. Park on durable surfaces, and clean up thoroughly when you leave. Practice LNT rules, so bury your waste, pack out your trash, don't damage vegetation, keep your noises down, etc. Bring your own water, or a filter system. Don't camp, cook, or defecate near water sources. This is bear country, so use practice best practices for predators and foods. Official area information can be found here. Info is about half way down (search for "dispersed camping"). Popular areas are around Browns Creek Trailhead and the Raspberry Gulch aid station. For more information, please email the RD (contact info). There are over a dozen state or federally owned campgrounds that are close to the race. Multiple privately owned options are also available. The public campgrounds will provide a more traditional camping experience, whereas the private will have more amenities (showers, wifi, ect). These spots go quickly! 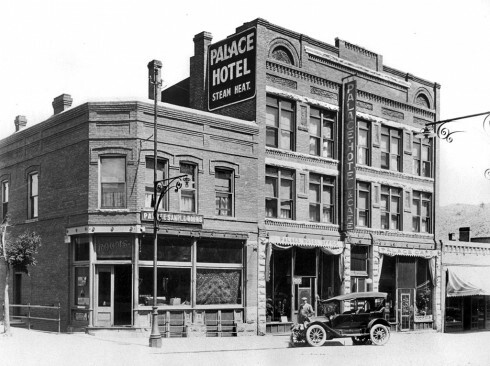 There are plenty of hotels and such in both Salida and Buena Vista. A quick Google search will reveal most of them, but below are some quick links to get you started. This area fills up quickly, so don't wait until the last minute. Prices also go up the more spots are booked, so sooner is better. Buena Vista and Salida have a multitude of options for more niche lodging. There are many rentals available on CR 162 (near Nathrop) that are very close to the starting area. Again, a Google search is your best bet, but here are some links to get you started.